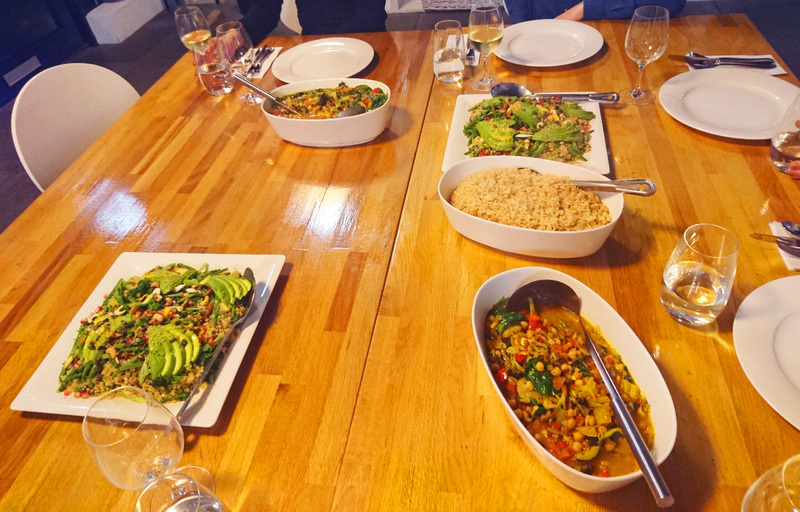 Last Saturday I attended a Vegan Cookery class at Jenius Social and I thought it’d be nice to share my experience and the recipes with you. The course aims to show you how to balance flavour and texture and how to plate food nicely. 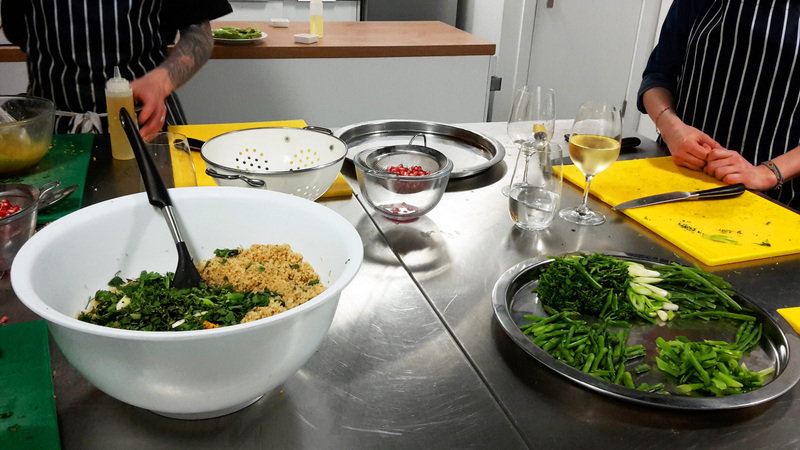 The chef shared some useful cooking tips and guided us through the preparation of two delicious main courses and a dessert using all natural ingredients. 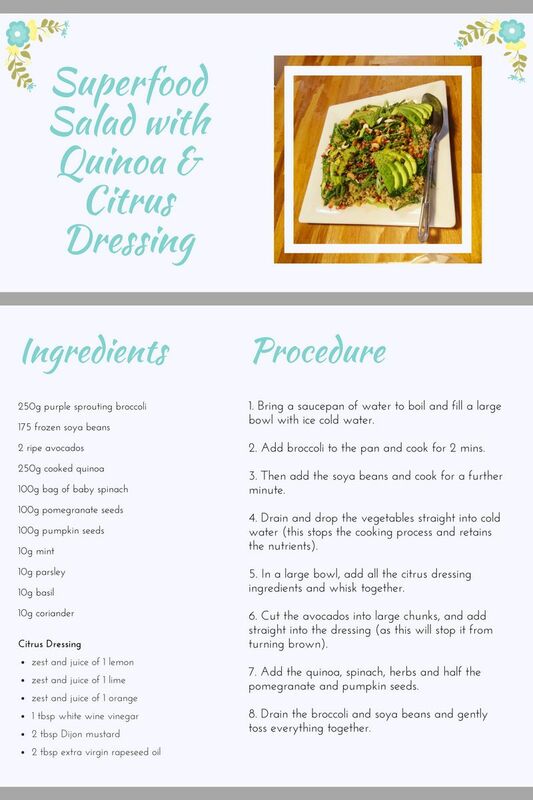 I don’t like spicy food so I can’t judge the curry but I can definitely say that I really liked the Superfood Salad, so here’s the recipe for you! 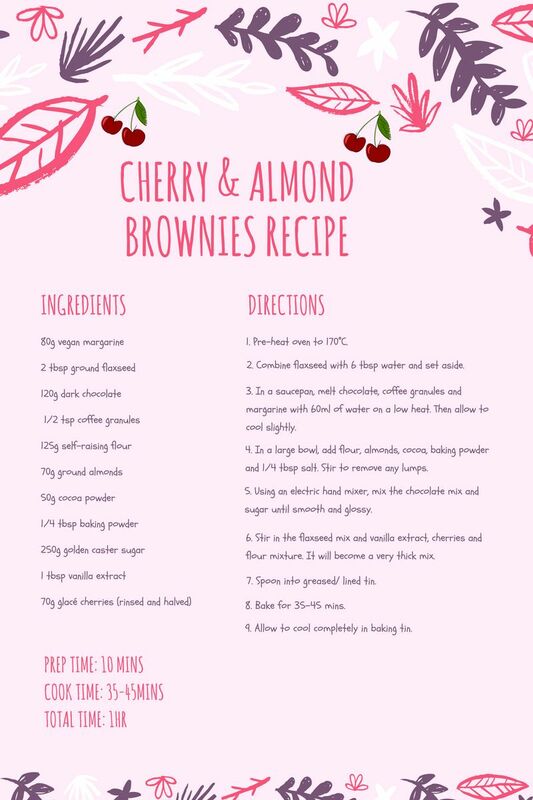 The brownies were overly sweet in my opinion, so I’d suggest to reduce the amount of sugar and to replace the margarine with coconut oil for a healthier option. The venue has also an adjoining dining room where we could enjoy the meals we prepared. This entry was posted in Food and tagged Cherry and Almond Brownies, cooking class, quinoa salad, vegan food. Bookmark the permalink.